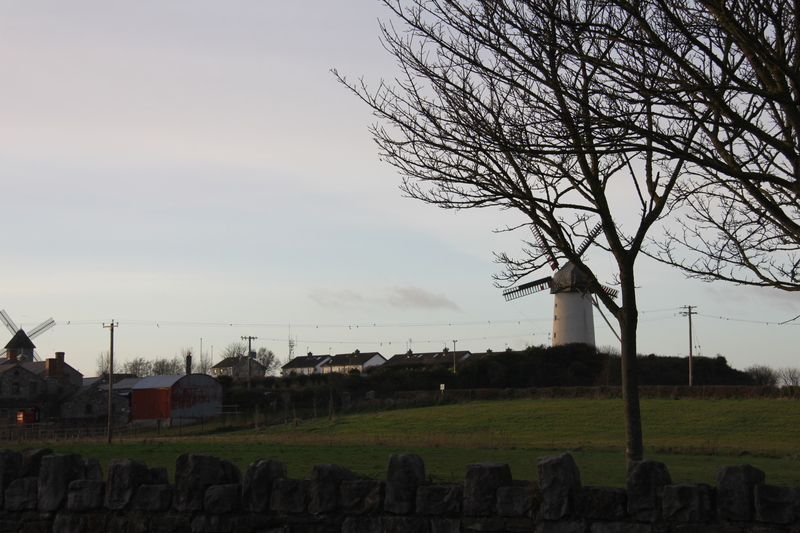 I went back to Ireland at Christmas for the first time since I’ve moved to Japan, and even though I love my life here and haven’t been homesick, it was great to be home for Christmas. I’m glad I waited ’til this year when I was fully settled in Japan so that I was more appreciative of being back in Ireland. Strangely enough, even though a year and a half isn’t that long to be away, it felt like a lot longer. Things had changed, like my friends who were off doing their own new things, and I had forgotten little things like which switch turns on the hall light at home. I surprised myself by sometimes mentioning the word ‘home’ when I was talking about Japan. It’s nice to think that Japan is my home now, and that although my real home will always be where my family is, I can make new homes wherever I live. 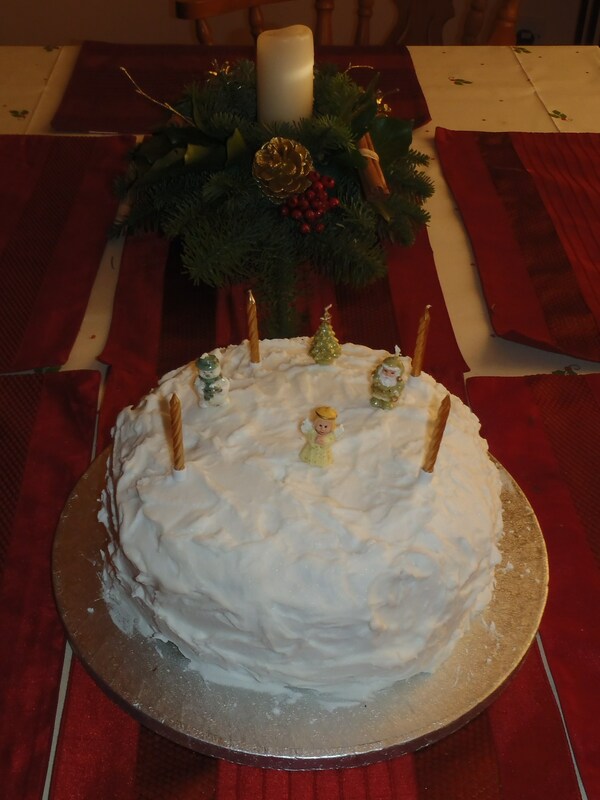 This year Christmas was different to the past score of years, so I’m going to write more about what traditionally happens at my house, than what I actually did this year. *Warning: This post will be food-photo heavy. 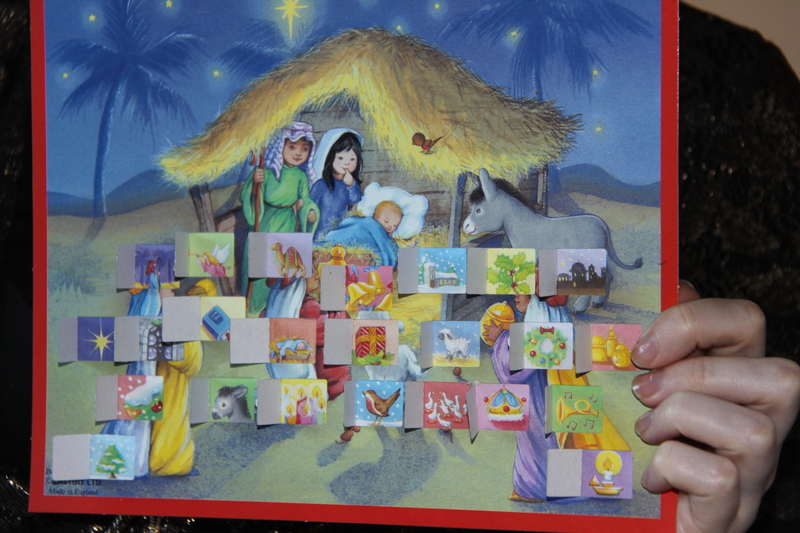 At the beginning of December we buy the kind of Advent calender where every day you open a door to a little picture. It’s just as well that none of my family gambles for money because we’ve gotten addicted to guessing what picture will come up. This year when I skyped my family in December we would open a few of the doors together. Usually about mid-December, my father, sisters and I would walk down town to buy a Christmas tree and then carry it home together, but this year we got an artificial tree because over the past few years it was hard for all of us to find time to get the tree together, and also every year my dad would have to suffer from allergies because of it. 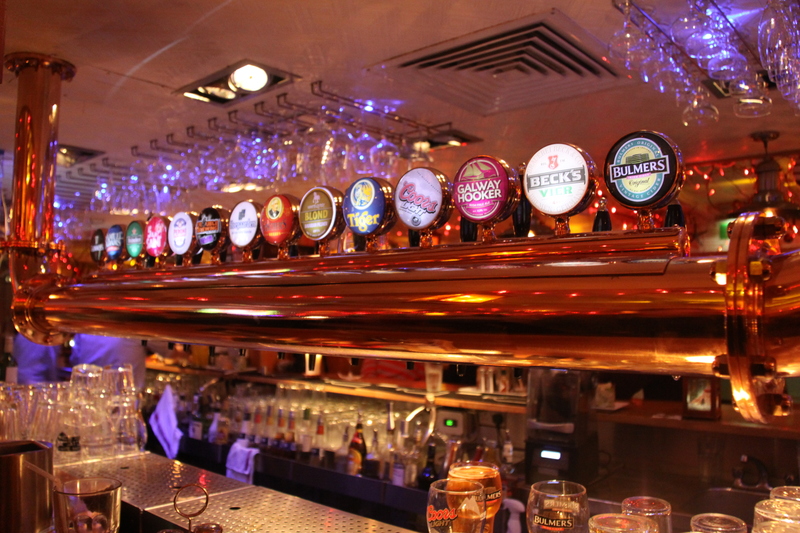 On Christmas Eve we would go into Dublin city to meet up with family friends. Town was usually quiet and it was pleasant not to have to do Christmas shopping so you could just enjoy the Christmas atmosphere and decorations. 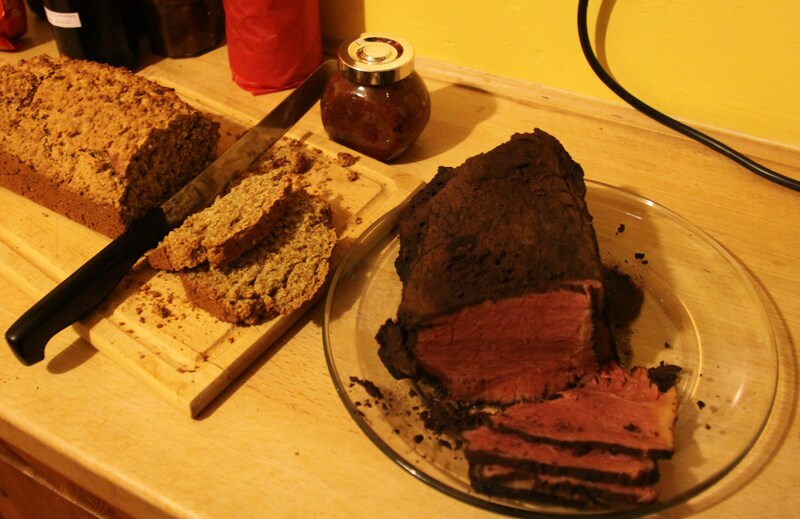 For a few years I think I sang at a carol service in our local church, which was always packed, and in the evening my dad would put on the spiced beef, which is a Christmas tradition from Cork. I’m not sure what it’s spiced with, but it’s boiled in water with a glass of stout, and the smell that fills the house is the smell of Christmas. In the evening before we went to bed, we would read the story The Christmas Miracle of Jonathan Toomey, put out our stockings and leave out some food for Santa and Rudolf. This year, both my sister and I went out to the pub to meet friends so we didn’t do it, but it’s a tradition we kept up for many, many years. On Christmas Day we would all be woken up by my youngest sister and go down to the dark dining room to find out what Santa had left us. We would go through our presents and then get dressed in our nice Christmas clothes to go to Mass. Our neighbour calls this the hypocrites’ Mass because everyone who doesn’t go to Mass the rest of the year, goes on Christmas Day. Even though that’s true religiously, I think it’s still a nice way to see people in the community. 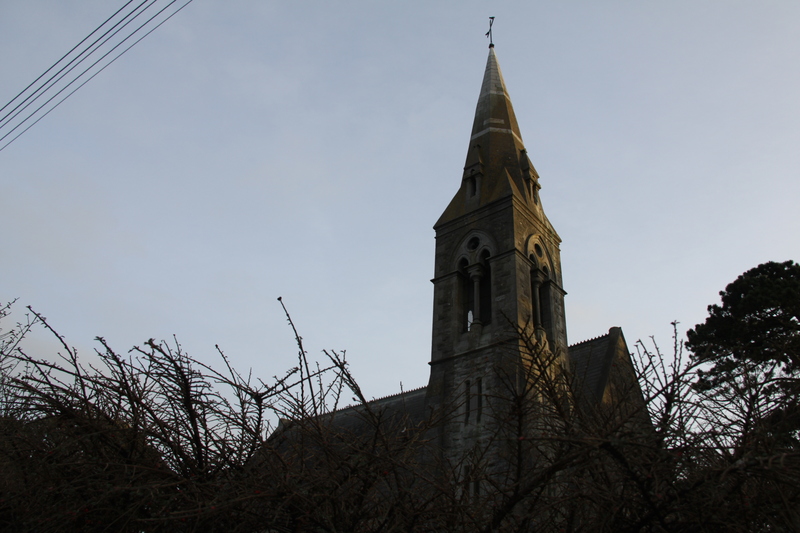 The church is always beautifully decorated as well and it’s fun to see everyone in their Christmas finery and to see the children playing in the pews with their new toys. 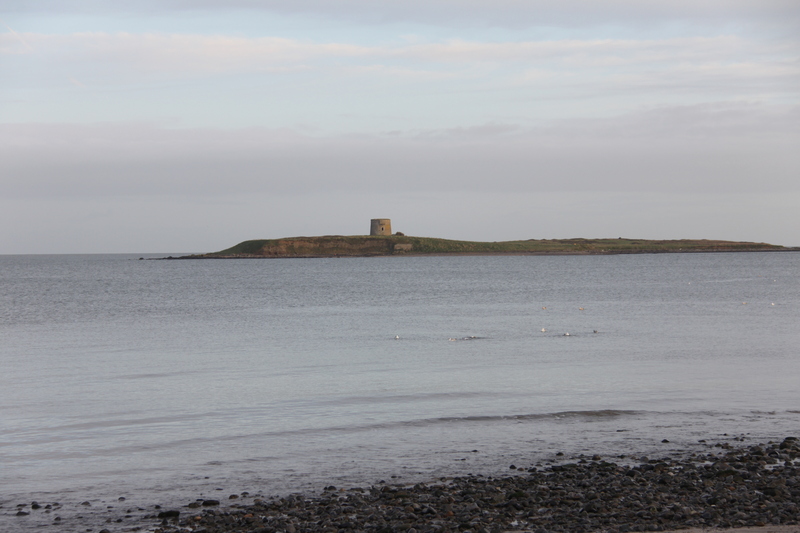 After Mass we would often go to the headland to see the people doing the Christmas swim. When we got home from Mass and after we had put the turkey in the oven, we would all sit down and open the presents under the Christmas tree from each other. We would drag it out like a game of pass the parcel until we were surrounded by piles of presents and wrapping paper. Then we would either have our neighbours over or go over to them for some wine and Roses or Quality Street. 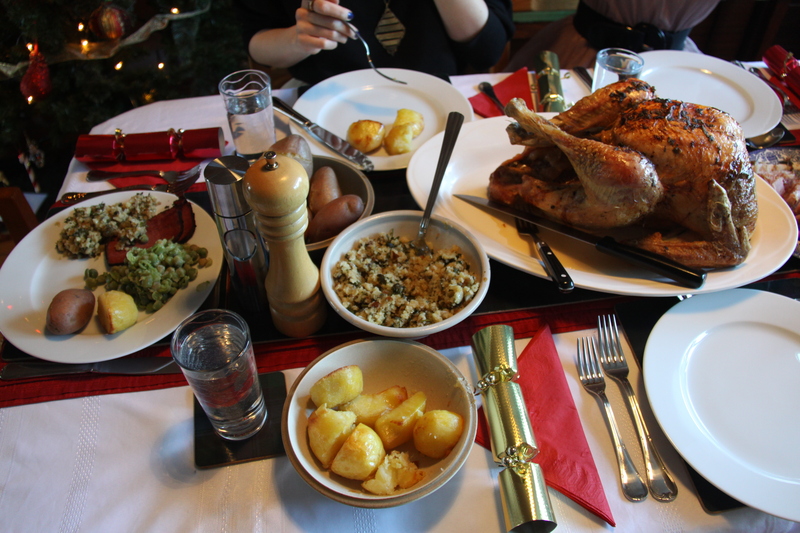 We don’t have any relatives living near us so it was nice to meet them on Christmas Day. This year my sisters and I helped out with the Christmas dinner so I made the breadcrumb stuffing and the brussel sprouts. 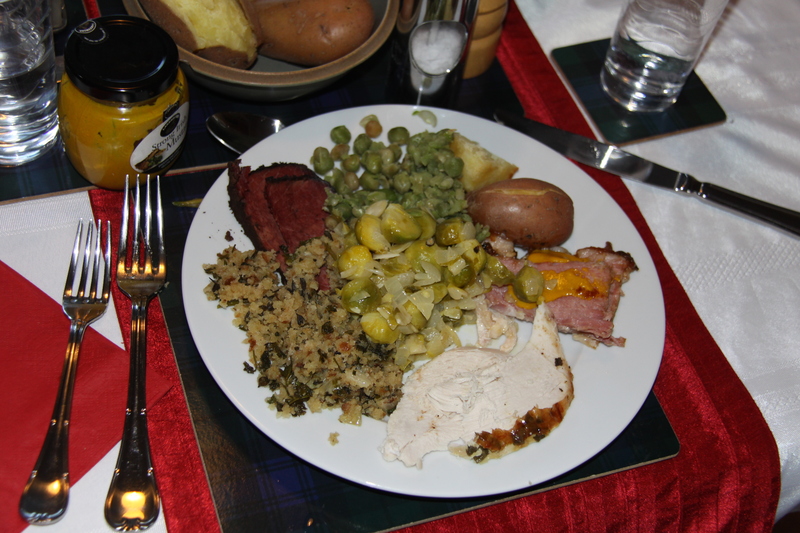 I’ve always loved stuffing but never liked brussel sprouts, that is, until I tasted the sprouts my friend Judy made for a Thanksgiving potluck dinner my American friends had. They were mainly seasoned with lemon so I searched for a recipe along those lines and they came out pretty well. Vegetables can be so exciting if they are just seasoned well. 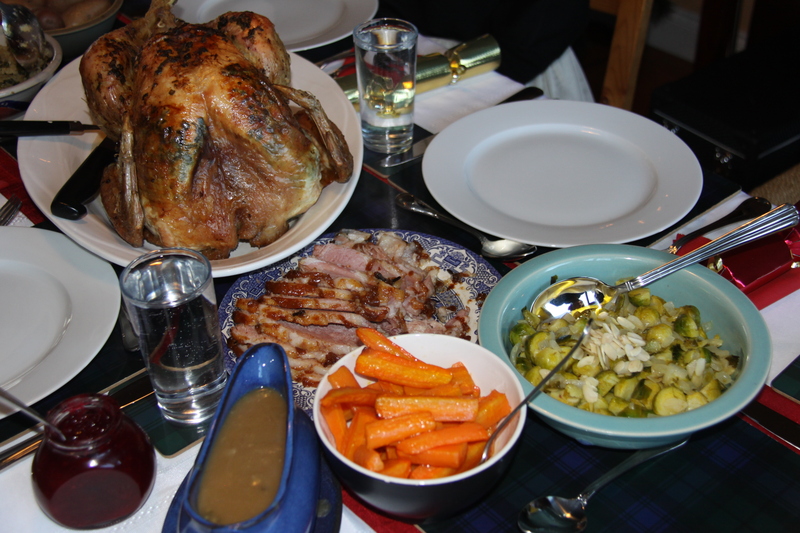 In total, our Christmas dinner consisted of turkey, ham, stuffing, potatoes (boiled and roasted), brussel sprouts, carrots and mushy peas. I carved the turkey, which was a first for me. We would usually be too stuffed for dessert after dinner so we would spend the evening, playing a board game and watching the films on television. 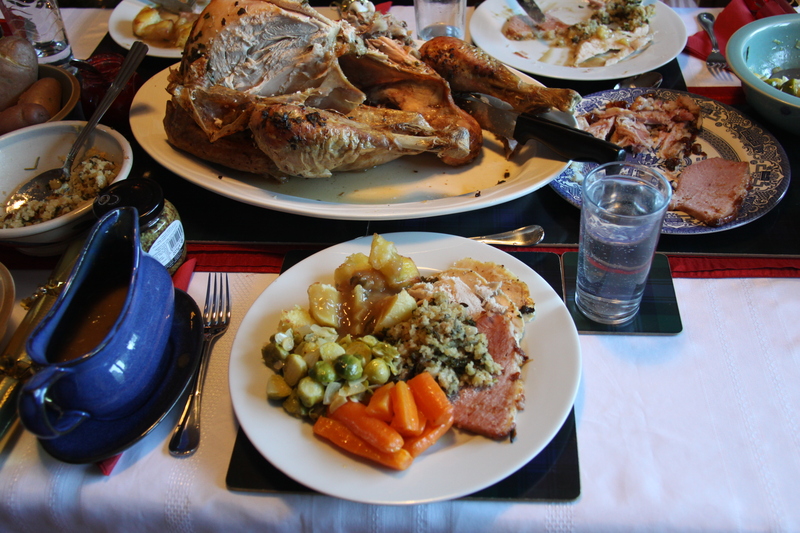 On St Stephen’s Day, after we had Christmas dinner no. 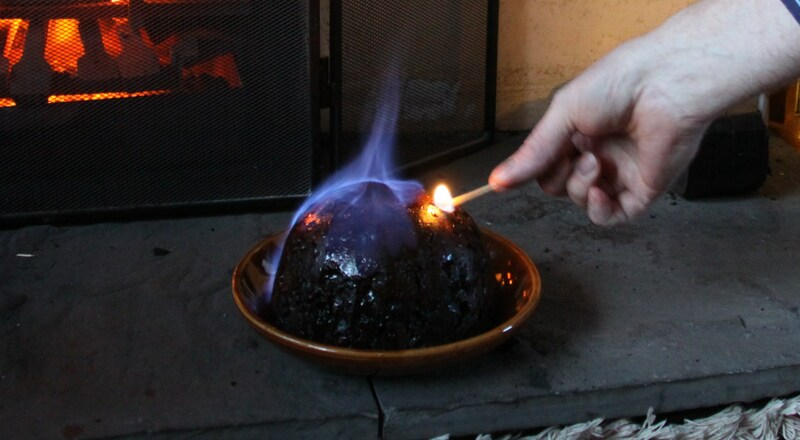 2, we would set fire to the Christmas pudding which is the main reason why we still get it, because it’s almost too rich to eat. 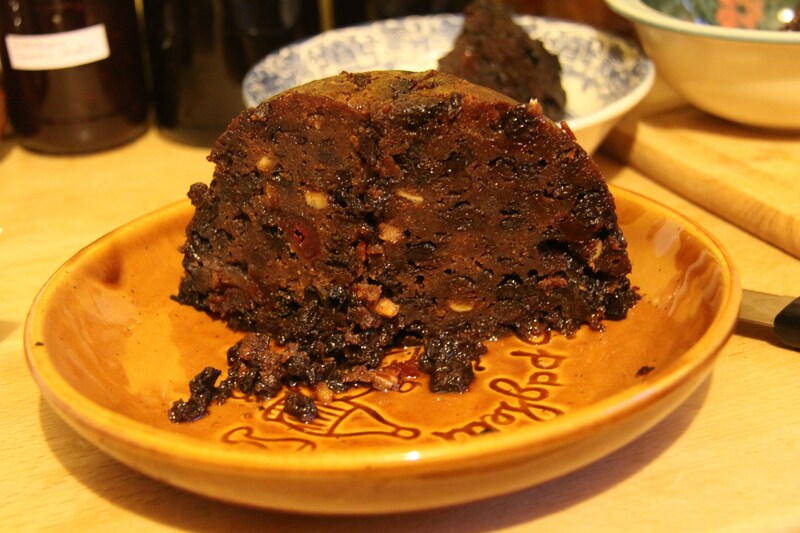 We wouldn’t normally make or buy Christmas cake because that is so rich as well, but when we would go to visit our granny or aunty, they would have made it and we would have it with our tea. 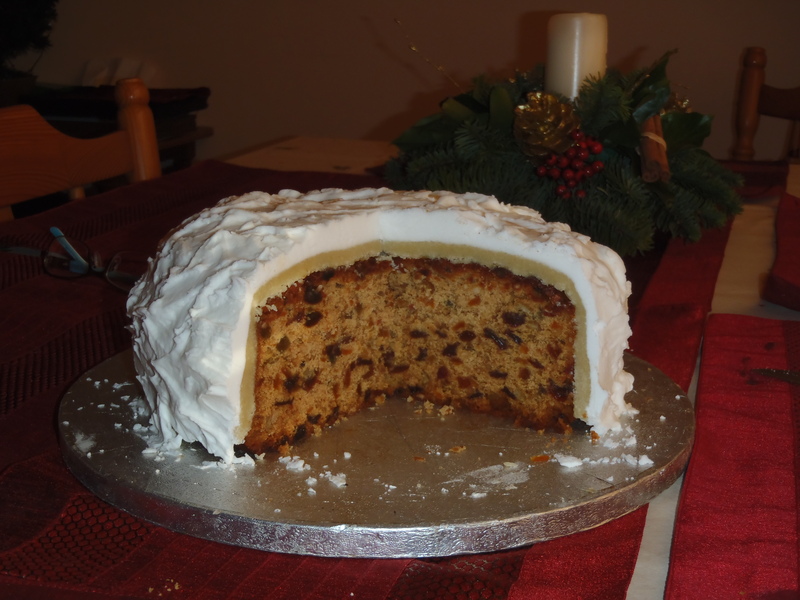 I asked my aunty to send me a picture of her Christmas cake to be able to explain what it is to Japanese people, for whom a Christmas cake can be one of a variety of expensive and usually creamy cakes. I had almost two weeks at home and I did hardly anything, which was great. I met up with some friends, some of whom were also living abroad, hung out with my family and spent a lot of time in my pyjamas watching television. It was the most relaxing holiday I’ve had in a long time because I wasn’t sightseeing, and doing these simple, normal things made me feel like I was really home. 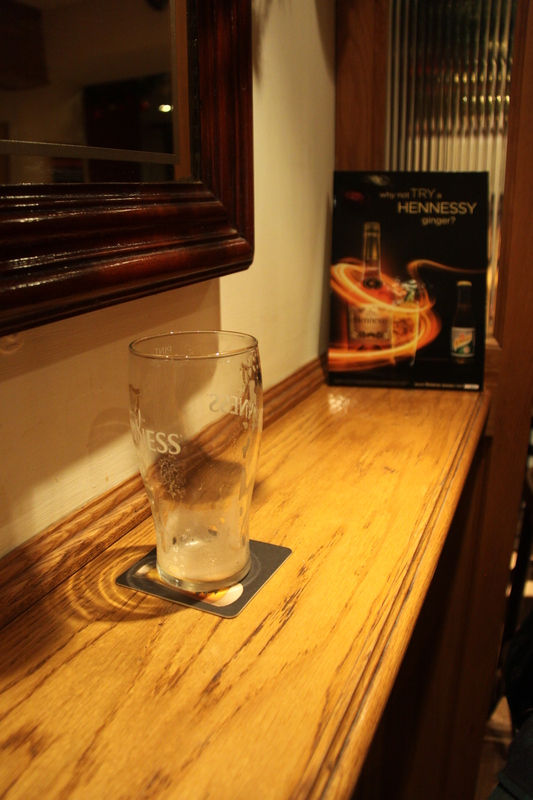 I stayed in on New Year’s Eve and watched Jools’ Hootenanny, and on New Year’s Day I went on a local bar hop with my Dad, where I had my first Irish pint of Guinness. 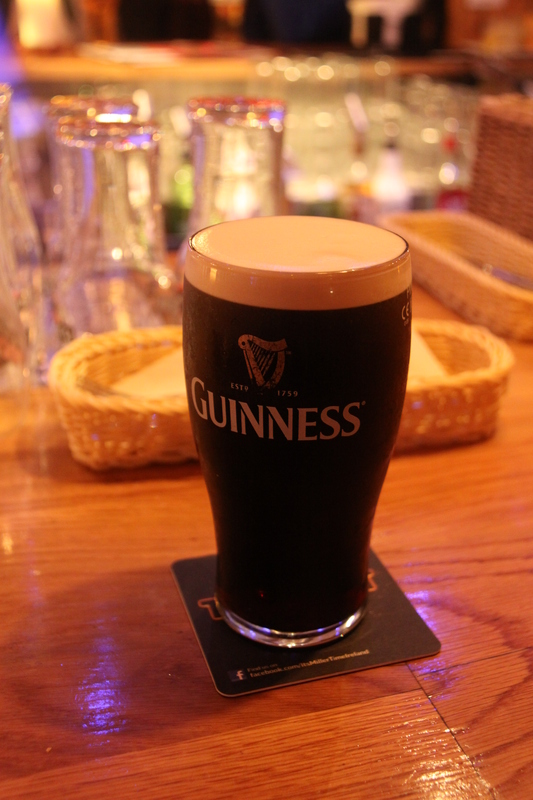 I had been persuaded to drink one last St Patrick’s Day in Japan when I discovered that it wasn’t as bad as I had remembered it to be when I tried is as a ten year old. 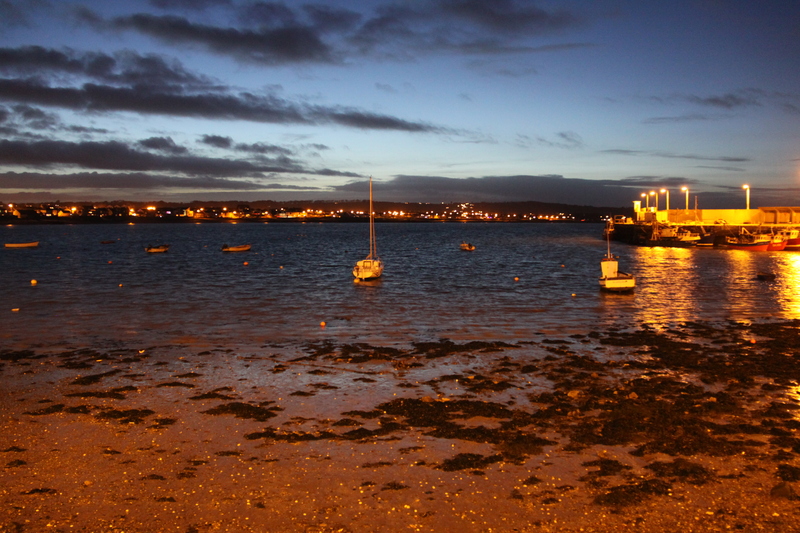 We went to the pubs down by the harbour and it was nice to remember just how beautiful my hometown is.